Texas Housewife: How Sweet It Is Too Be Loved By Nanny! How Sweet It Is Too Be Loved By Nanny! 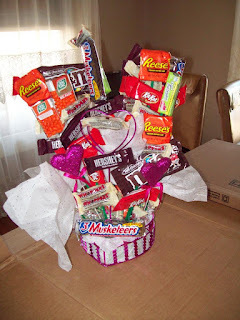 These are the super adorable candy bouquets my Mom in law made for the kiddies. Aren't they the cutest thing you've ever seen? Ever since I saw them, this song has been stuck in my head! 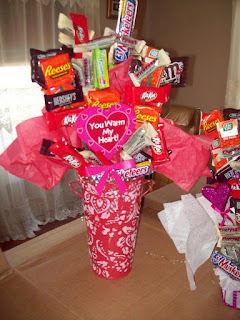 Wow, those candy bouquets are awesome!! Didn't she make one for you? :-D I'm glad I don't know your MIL - if someone made one of those bouquets for me I'd have that thing scarfed down so quick I wouldn't even SEE my Weight Watchers diet flying out the window just as quick! !